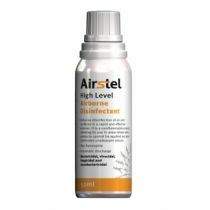 This broad spectrum disinfectant is a safe all rounder, effective against viruses, mycobacteria, fungi, and bacterial organisms. It is economical, non-toxic and biodegradable. 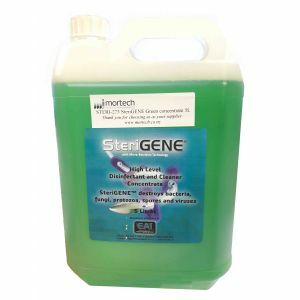 SteriGene is non-corrosive against instruments, stainless steel, fibreglass and rubber compounds. Used 1:100 dilution will kill the Clostridium perfringens (tissue gas) organism.